Wells Fargo's pre-crisis subprime mortgage troubles are coming back to haunt it a decade later. The big bank said on Friday that third-quarter profits tumbled by 18% because it set aside $1 billion for legal expenses. Wells Fargo (WFC) said the legal costs are linked to federal and state investigations over its sale of subprime and other mortgages prior to the Great Recession. The pre-crisis mortgage problems are in addition to Wells Fargo's other scandals, notably the fake account fiasco that left the bank in turmoil for the past year. Wells Fargo's various legal problems helped drive expenses up by 8% last quarter. Wells Fargo's overall business isn't firing on all cylinders either. Revenue slumped by 2% to $21.9 billion, missing Wall Street's targets. Shares fell 2% in premarket trading. It's now on track to fall further behind the rest of the market and many of its peers like Citigroup (C). CEO Tim Sloan, who took over last fall during the fake account scandal, said in a statement that the company has made "fundamental changes" to "rebuild trust and build a better bank." 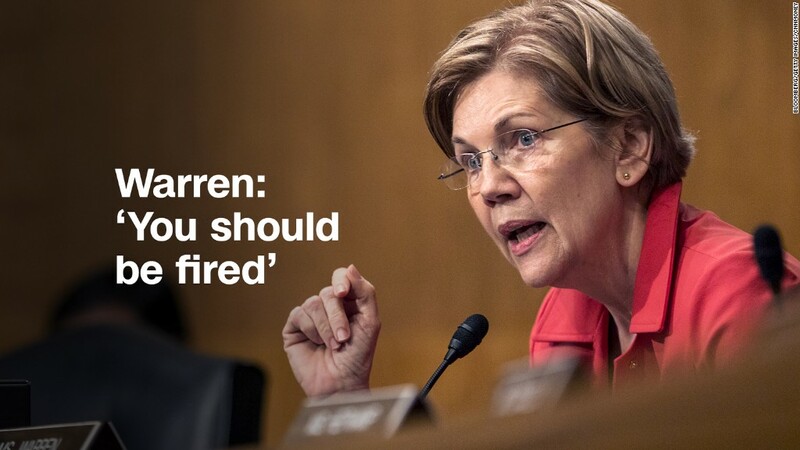 Earlier this month Sloan was grilled by lawmakers, including a fiery exchange with Senator Elizabeth Warren, during a hearing about the bank's scandals. Wells Fargo warned investors in August that it's in talks with the Department in Justice about the bank's pre-crisis lending practices. The bank said it's cooperating with authorities investigating the matter. Other banks, including Bank of America (BAC) and JPMorgan Chase (JPM), reached costly legal settlements with the government years ago. That's not Wells Fargo's only mortgage problem though. Earlier this month, the bank said it wrongly charged some home buyers fees to lock in mortgage rates. To fight rising legal costs, Wells Fargo has promised to slash its expenses by $4 billion by the end of 2019. The bank plans to shut down more than 400 bank branches to help meet that goal.